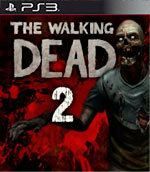 Episode two of a five-part game series set in the same universe as Robert Kirkman’s award-winning series. With starvation and bandit attacks becoming as much of a threat as the undead, the group finds themselves seeking help and food from strangers at a local dairy. Feel what it’s like to be a survivor, where choosing between necessities and what’s “right” is a delicate matter. Encounter human survivors who have gone down a truly horrific path. Begin to see the pressures of Lilly’s responsibilities and get a glimpse of her tortured past as she starts to unravel as a leader. Develop an understanding of what you’re willing to resort to in order to ensure survival. Live with the choices you made in Episode One as they continue to affect your experience in this episode. Telltale Games has a gem on its hands. If the remaining three episodes of this series are anything like the first two, The Walking Dead may very well go down in history as the greatest adventure game of this generation. Starved For Help improves upon the storytelling of its predecessor and treads into darker, much more mature territory. With an engrossing narrative that molds to your decisions, populated by a cast of compelling and relatable characters that you can’t help but care about, this is one zombie apocalypse you won’t want to miss. The Walking Dead: Episode 2 is flat-out amazing. It's better than Episode 1 in every way. It's better written and more fun to play than other similar cinematic games like Heavy Rain. It's an artistic masterpiece, a pinnacle of cinematic gameplay. If you are a Walking Dead fan, or just a fan of cinematic games in general, then you owe it to yourself to play this episode. Proving that you don't need zombies to make a great zombie story, Telltale ups the ante in almost every way with Starved for Help. Even more brutal than the content in episode 2 is the wait for episode 3. El segundo capítulo de The Walking Dead: The Game vuelve a ser una interesante experiencia de lo más atípico. Hay más problemas técnicos que en su predecesor y sigue sin ser un videojuego para todos los perfiles de usuario por su condición única, pero es genuino e intenso como pocos. Mucho suspense, gran atmósfera y una buena historia para una aventura recomendable si te interesa el género. Si vous avez aimé le premier épisode, celui-ci ne vous décevra pas. La recette concoctée par TellTale fonctionne toujours. De la peur, du sang, des mécaniques de jeu bien rôdées, des décisions qui ont toujours une importance réelle, une ambiance une fois de plus soignée au maximum et une histoire captivante : tout cela éclipse des défauts de conception réels, déjà visibles dans le premier épisode, au point d'immerger le joueur plus qu'il ne pourrait l'imaginer.